A newly discovered pathway leading to the regeneration of central nervous system (CNS) brain cells (neurons) in a type of roundworm (C. elegans) sheds light on the adult human nervous system's ability to regenerate. The findings, which appear online in the Proceedings of the National Academy of Sciences, soon may lead to treatments that enhance nerve cell regeneration in humans with spinal cord injury and paralysis. Boston University School of Medicine (BUSM) researcher and corresponding author Christopher V. Gabel, PhD explains, "We describe a new type of neuron regeneration in C. elegans that is independent of previously discovered regeneration pathways." This novel regeneration is related to a type of neuron growth that happens when animals are developing. "This is experimentally much more accessible and will allow us to study regeneration much more rapidly than before." This regeneration in C. elegans is related to a type of regeneration that occurs in the CNS of mammals. Researchers used a pulsed laser to cut neurons and measured the amount of regenerative outgrowth. They discovered that these neurons did not typically regenerate after surgery. However, if they performed the experiments in worms with specific genetic defects or cut two different fibers of one neuron, there was robust regeneration. "At the end of development, neurons in the adult human CNS, such as the brain and spinal cord, lose their ability to effectively regenerate in response to injury," explained Gabel, assistant professor of physiology and biophysics at BUSM. This is why permanent damage and paralysis typically follow CNS injury. "But, when two lesions are made to the same neuron, remarkably, some cells in the human CNS robustly regenerate—a phenomenon known as lesion conditioning and which was strikingly similar to what we saw in our experiments with C. elegans." 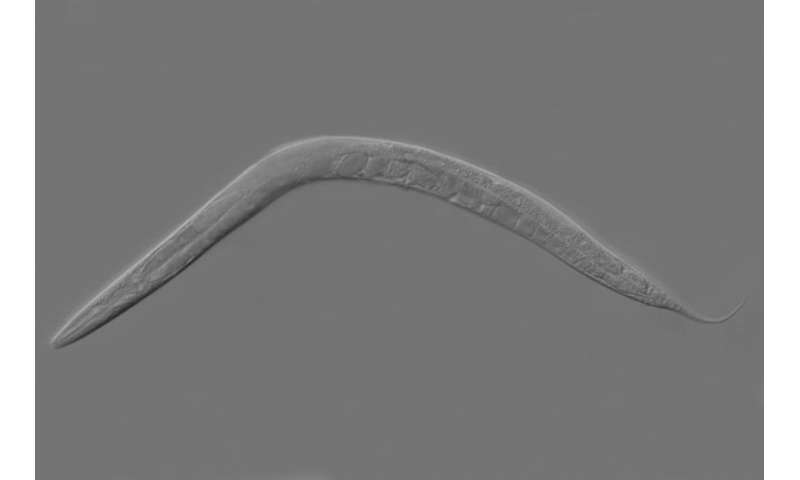 Gabel expects that his team, led by lead author Samuel Chung, PhD, will be able to identify the genes contributing to this effect and envisions that C. elegans can be used as a model to study CNS regeneration in mammals. "We hope that our findings will invigorate research to enhance the human brain's innate capacity for regeneration. Ultimately, this could lead to a viable therapy for restoring to full health the many people suffering from permanent neurological damage."